Epic Games is the first major games graphics engine maker to add support for Vulkan. To demonstrate its prowess on portable and mobile devices Epic was at the Samsung Galaxy Unpacked event showcasing what mobile games may look like in the future. Watching the 'experience' demo it seems like the Vulkan API compatible UE4 combined with the powerful new Samsung Galaxy S7 smartphone is capable of some impressive real-time 3D graphics. "The new industry-standard Vulkan API brings key elements of high-end console graphics technology to mobile devices, and Samsung is leading the way with the amazing new Galaxy S7," Epic Games CEO Tim Sweeney said in a statement. 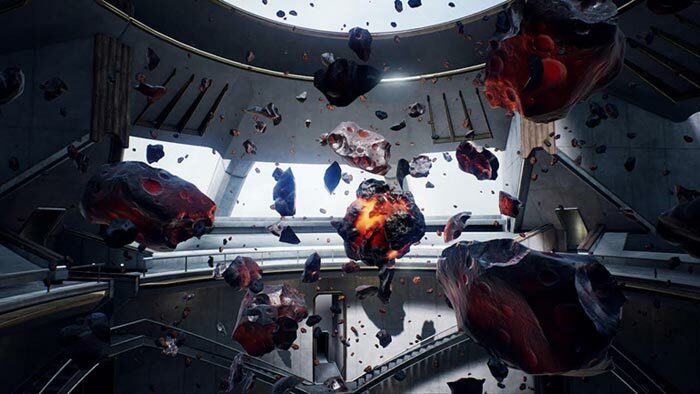 "As the first engine supporting Vulkan, Unreal Engine 4 provides a solid foundation for developers joining in the mobile graphics revolution". The video embedded above shows the real-time ProtoStar demo in action. If you take a look you can see that the demo showcases fluid sci-fi scenes containing many objects, elements, and particles with plenty of visual effects such as reflections, full scene anti-aliasing and more. You can watch the video full screen at 1080p to get more of a gist of the quality offered by this mobile demo. As a reminder, the Samsung Galaxy S7 includes a 'water-cooling' system (heatpipe) to prevent throttling in demanding apps, it also has a no-alerts setting so you can game uninterrupted and the ability to record and stream gameplay footage. In some regions those who pre-order the Galaxy S7 will receive a free Gear VR headset. In other Vulkan news, Nvidia is delivering Android Marshmallow updates to its SHIELD Android TV boxes and it is to become "the first Android consumer platform to ship with support for the new-generation Vulkan graphics API". Just a week after the 1.0 Vulkan API specs were published, Nvidia is making fully conformant Vulkan drivers available to Android developers. We are also told that Google has announced that Vulkan will be a core platform API in a future version of Android to drive new classes of interactive user experiences. In coming weeks/months Nvidia SHIELD Android TV users will hopefully start to experience the benefits of the Vulkan API in games and apps making better use of the device's processor and Maxwell GPU. Atari Gameband gaming smartwatch project is dead Asus ROG Phone pre-orders start in the UK today Nvidia teases GeForce GTX 16 series gaming laptops PC Specialist Vortex S1 Has Samsung been chosen for Intel Xe GPU manufacturing? Not perfectly smooth but that may be down to youtube. Either way pretty good stuff.